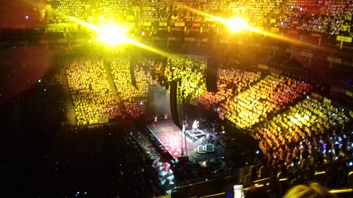 On Monday 6th February 18 children from Rockmount KS1 and KS2 choirs joined together with over 7500 children to sing as part of the Young Voices Choir at the O2 Arena. The children have been rehearsing really hard for several months to learn all the songs and dance moves off by heart for the concert – no lyric sheets were allowed! We spent the afternoon rehearsing before performing that same evening to a packed audience of family and friends. It was a long and exhausting day, but totally worth it! The Young Voices choir sounded incredible in the concert. 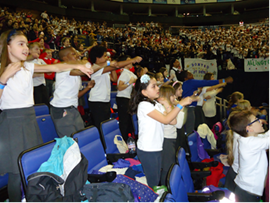 To perform at such a large venue in a choir of over 7500 children, alongside professional singers, instrumentalists, beatboxers and street dancers was a truly unforgettable experience for both the children and staff that took part.